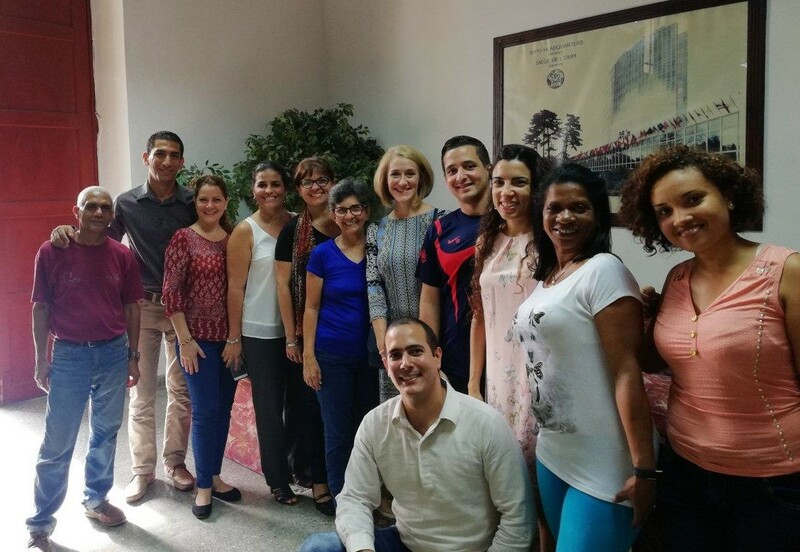 Prof. Christine Haight Farley with Cuban attorneys in Summer, 2018. Professor Christine Farley is making her 6th trip to Havana, Cuba in three years as part of an educational program under the auspices of the Center for Inter-American Legal Education (CIALE). Funded by the Ford Foundation, CIALE is organizing courses on US commercial law taught by US law professors to enable a smooth and efficient end to the decades long Cuban embargo as soon as that should occur. The courses are offered to mid-career and senior Cuban attorneys on a range of topics that will be relevant to US businesses in a post-embargo Cuba. Professor Farley has taught Advanced Trademark Law, Trademark Prosecution, and Trademark Licensing courses. These courses have been offered at the Cuban Intellectual Property Office.